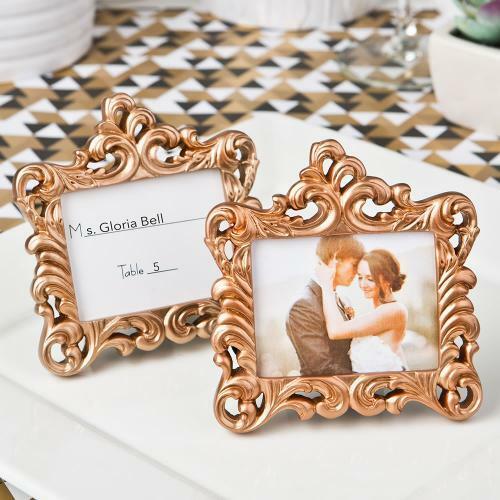 If you are looking to add beautiful gold rose wedding decor to your special day; our rose gold place card holders/frames are the perfect thing. And they'll do double duty. First as your place cards and then as the favor your guests will take home!